Hello sir, I am doing BA in English Literature. This is final year. I want to get admission in PG certificate course at MG University. Give me its link to collect my application form. Here I am providing you the attachment by downloading this attachment you will get the admission form for various programs such as M S, M. Phil and P G Diploma Programme in Nanoscience & Nanotechnology. Given below is the attachment. I want to admission in MG university, so I want to download its admission form from where I can download it? 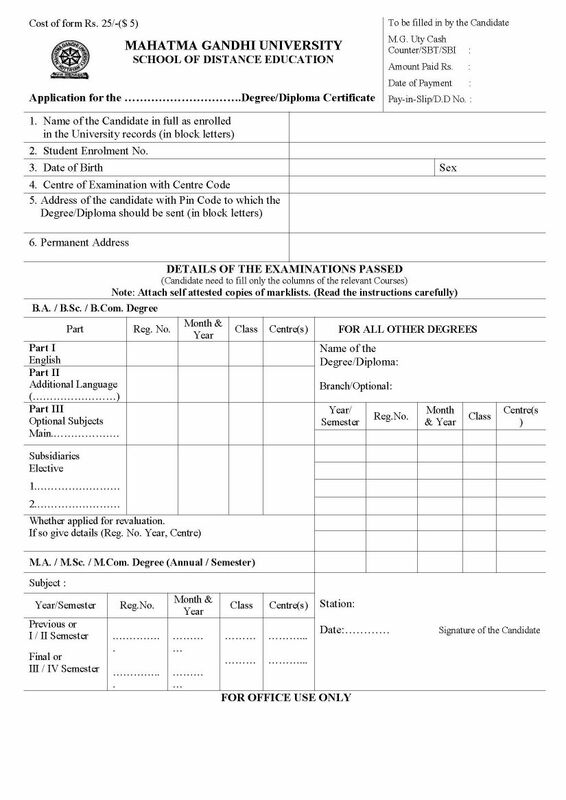 As per your need I am sharing MG university PG certificate application form for you. 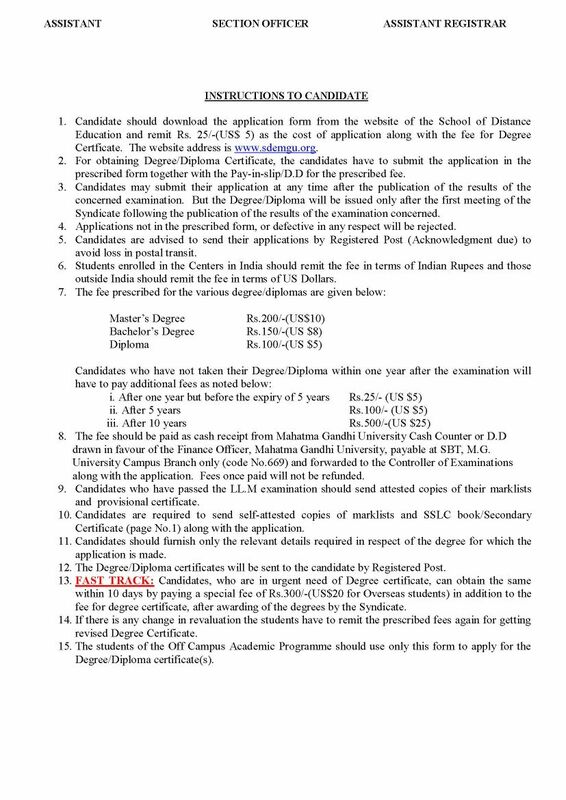 I am trying to fill the application form for degree certificate. I am confused on how to fill it. Somebody please help me with the format of filling the subjects on it. I got stuck at the details on the subject, centre and class details. Please help. how can i get pg admission form downloaded from the site? I Parvathi G Sugathan, 2014-2016 MBA Graduate From Mar Athanasios College for Advanced Studies. I have applied for MBA Certificate on August 2018 via fast track. I have submitted all the necessary documents with an online application fees to the concerned person. Unfortunately I have not yet received my certificates. Kindly do the needful at the earliest.